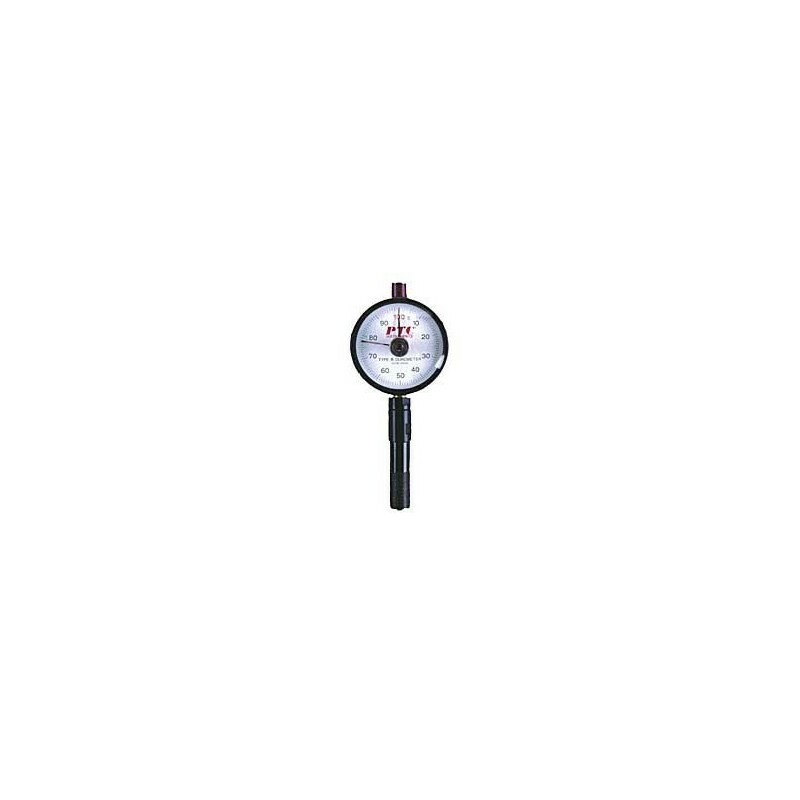 The PENCIL DUROMETER's 1/2" diameter base (1.3 cm) is the smallest base permitted by ASTM D2240 specifications. 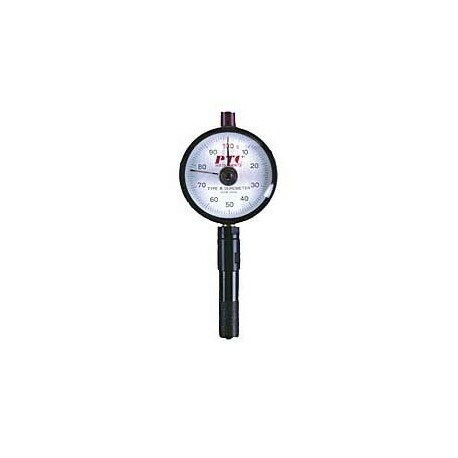 This allows it to be used in confined or hard-to-reach areas other durometers cannot test. These durometers meet standards ASTM D2240, ISO 7619 and ISO 868. The instrument uses a dial gauge with a full 360 scale and bold, easy to read numbers. The dial scale can easily be read to .2 point accuracy. A standard max-hold hand holds the peak reading until reset. The dial has a red zone to indicate unreliable readings. Readings in this area should not be reported for either Type A or D. 5-1/3" H x 2-1/4" W x 1-1/2" D (13.5 cm x 5.7 cm x 3.8 cm). Sold individually.